WARSAW — Warsaw Community School Corporation has announced its top two graduates for the 2017-2018 school year. Valedictorian — Kyler Bartol, son of Brenden and Dora Bartol, has been named the valedictorian for Warsaw Community High School’s class of 2018. He plans to attend Purdue University where he will major in biology. Bartol then plans to further his education through the pursuit of a medical school degree. 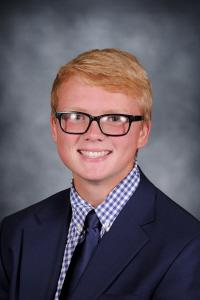 Bartol’s high school activities include serving as student body vice president on the WCHS student council during his senior year; participating in National Honors Society; holding internships at Kosciusko Community Hospital and Elements Materials Technology; and playing on the tennis team. Bartol also participated in Warsaw Community High School Blitz, volunteering in his community. 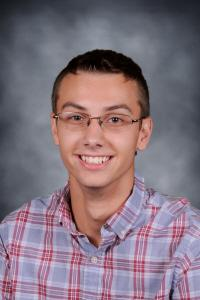 Salutatorian — Zachary V. Howard, son of Mark Howard and Deydra Carpenter, has been named the salutatorian for the WCHS class of 2018. Howard’s future plans include majoring in engineering at Purdue University. While in high school, Zach participated in FFA in many capacities such as chapter vice president his sophomore year, president his junior year and treasurer his senior year. Within FFA, Zach placed in multiple state and career development events and participated in community service at the Young McDonald’s Barn at the Kosciusko County Fair and Agriculture Awareness Day.